TUESDAY, Feb. 12, 2019 (HealthDay News) -- New (and pricey) hepatitis C medicines, such as Harvoni and Sovaldi, are living up to their promise and greatly reducing patients' odds for liver cancer and death, a new French study finds. The news came as little surprise to one U.S. liver expert. The advent of this class of drugs "has led to almost universal cure of chronic hepatitis C infection," said Dr. David Bernstein, chief of hepatology at Northwell Health in Manhasset, N.Y.
Bernstein believes "this large study provides the best evidence to date to support the recommendations that all patients with chronic hepatitis C infection be treated with [these drugs]." According to background data in the study, about 71 million people worldwide have chronic hepatitis C infection, which can cause debilitating or fatal illnesses such as cirrhosis, liver disease and liver cancer. Over the last 15 years, these complications have tripled and it's predicted that they'll peak between 2030 and 2035, the researchers said. The new research was funded by drugmakers and included nearly 9,900 patients in France. About three-quarters of the patients were treated with the newer class of drugs, called "direct-acting antivirals," while the other one-quarter were not. Direct-acting antivirals work quickly -- over a course of about three months -- to push liver-damaging hepatitis C virus to undetectable levels in patients' blood. In the study, over a median follow-up of nearly three years, 218 patients died and 258 were diagnosed with liver cancer. Compared to untreated patients, those treated with direct-acting antivirals were 52 percent less likely to die prematurely (84 deaths per 10,000 in untreated patients versus 40 per 10,000 in treated patients). 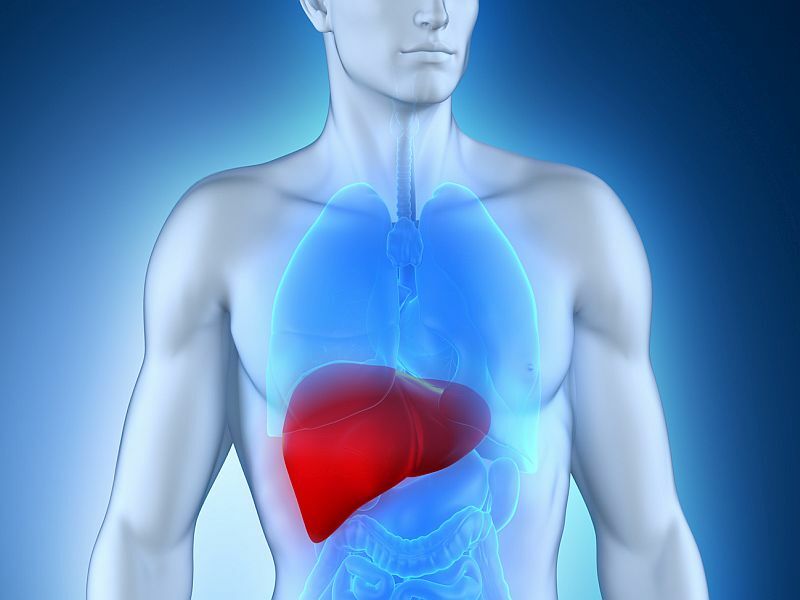 In addition, patients who were treated were 33 percent less likely to be diagnosed with liver cancer within a year (129 cases per 10,000 in untreated patients versus 86 per 10,000 in treated patients), the researchers reported. In a subgroup of more than 3,000 patients with cirrhosis of the liver at the start of the study, the same reductions in risk were seen in patients who received the new medicines, providing they achieved an undetectable level of hepatitis C virus in their blood. The study, published Feb. 11 in The Lancet, received funding from the drug companies MSD, Janssen, Gilead (maker of direct-acting antivirals Harvoni, Sovaldi, Vosevi and Epclusa), AbbVie (maker of Mavyret), Bristol-Myers Squibb (maker of Daklinza), and Roche. According to the researchers, this is the first study to show the effectiveness of direct-acting antivirals in patients with chronic hepatitis C infection. The study authors said that they believe the findings make a strong argument for expanded use of the drugs. "We saw a reduction of risk for complications related to the disease, and to mortality, and believe this treatment should be considered for all patients with chronic hepatitis C infection," lead researcher Fabrice Carrat of Sorbonne University, Paris, said in a journal news release. In an accompanying journal commentary, Dr. Raymond Chung, director of the Liver Center at Massachusetts General Hospital in Boston, pointed out that the findings "provide the best evidence to date to support guidance documents that recommend direct-acting antiviral treatment for all patients with chronic hepatitis C viral infection." One remaining issue has been the cost of direct-acting antivirals, which were originally priced at about $90,000 for the required three-month course. Bernstein said those concerns have eased somewhat, but not completely. "While prices of hepatitis C therapies have decreased significantly in the U.S. over the past four years, making them affordable to most patients, access to these life-changing and -saving medications remains difficult amongst certain patient groups," he said. "Certain states have imposed restrictions on their availability based upon extent of liver damage, presence of sobriety, and restrictions on which providers can prescribe these therapies," Bernstein noted. The U.S. National Institute of Diabetes and Digestive and Kidney Diseases has more on hepatitis C.
Our commitment to patient care and health is priority one here at Pavilion Pharmacy.